education | Take Home a Souvenir! 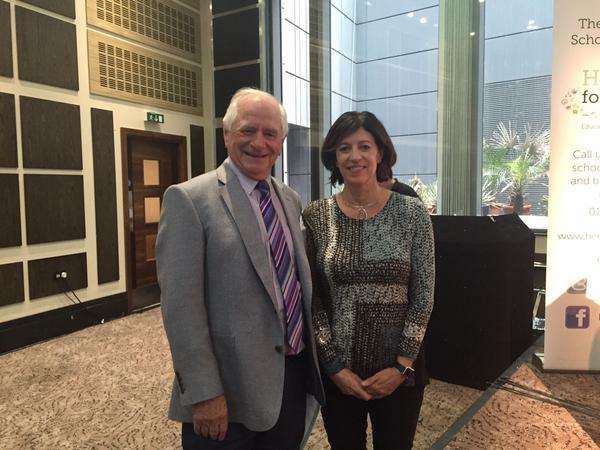 To coincide with the publication of the revised and updated edition of the bestselling maths book, THE ELEPHANT IN THE CLASSROOM, Professor Jo Boaler visited the UK last week to speak at two conferences on maths education. 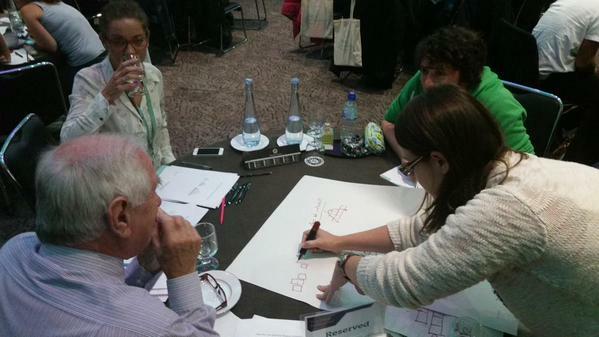 The first, ‘Maths, Mindset and Mastery’ took place on Thursday 17th September in Cheltenham, organised by GLOW Maths Hub, which is part of the National Centre for Excellence in the Teaching of Mathematics new Maths Hubs initiative. The idea is to bring together all mathematics education professionals in a national network of hubs, each locally led by an outstanding school or college, working in partnership with neighbouring schools, colleges, universities, CPD providers, maths experts and employers. 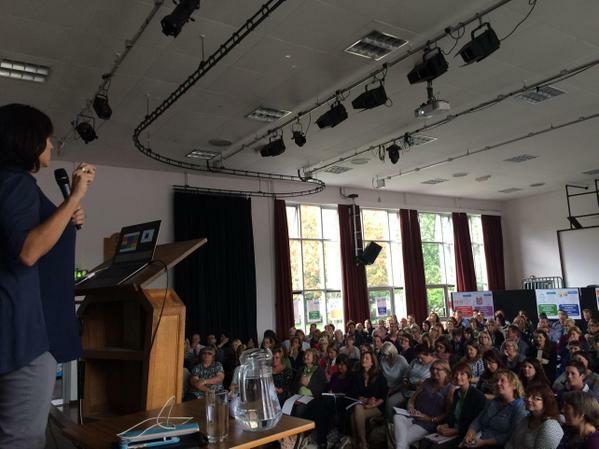 At the conference, Jo spoke about the importance of a Growth Mindset classroom to inspire all maths learners, and how, by making a Growth Mindset classroom the norm in all schools, we can eradicate the fear and lack of understanding of maths, held by a huge number of school children. … Jo discussed ways to bust the myth of the ‘maths brain‘ idea – how some children believe that they simply ‘can’t do maths’ – and set tasks for attendees to show them how they can help all pupils engage confidently in mathematics . According to the National Numeracy charity, around 17 million adults in England are at roughly the same level as that expected of children in primary school. It is precisely problems like this that Jo Boaler attempts to solve in the new edition of THE ELEPHANT IN THE CLASSROOM. Drawing on new scientific research, developed in conjunction with Carol Dweck, it shows how maths mindsets can unleash a pupil’s potential through creative and innovative teaching. 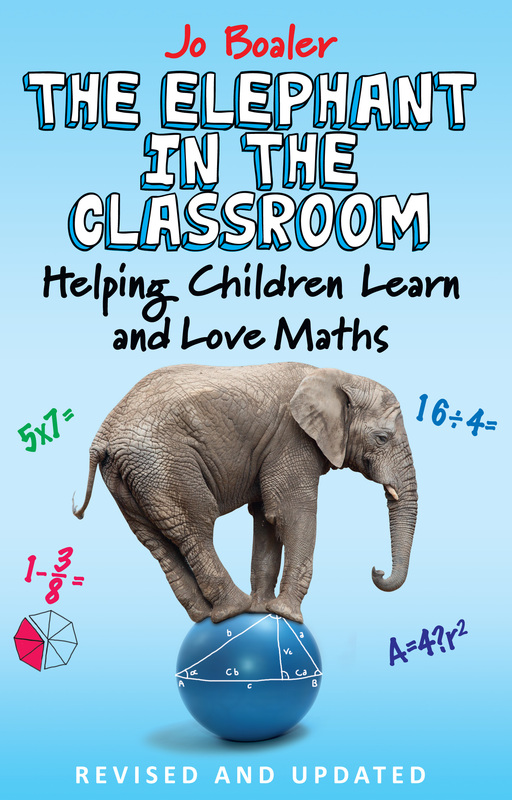 THE ELEPHANT IN THE CLASSROOM by Jo Boaler is now available to buy in paperback (ISBN: 978-0285643185) and eBook (ISBN: 9780285643192), £12.99. Once again, numeracy levels in the country are a talking point. According to The Telegraph, ‘around 17 million adults in England are at the equivalent of primary level maths, and it is claimed that these poor math skills could be costing the UK economy more than £20 billion a year’. So, what can be done to tackle this problem? Professor Jo Boaler, author of ‘The Elephant in the Classroom’, spent three years studying how maths is taught our schools. She believes that children are scared of making mistakes thanks to the ‘performance culture’ we have constructed. Unfortunately, as the age-old saying goes, ‘you only learn from your mistakes’. Gender inequality (currently two in three A-Level maths students are male) and its ‘boring’ stigma are also contributions to the country’s fear of the subject. The topic is raised in ITV’s Tonight programme, which you can watch on ITV Player. 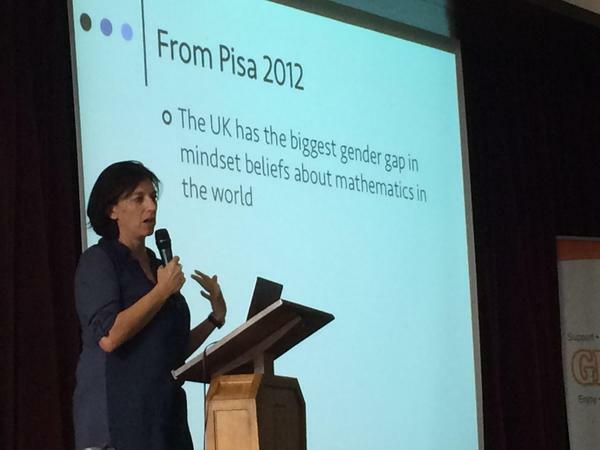 Alternatively, catch Prof Boaler on BBC Radio 4 talking about ‘maths brain’. 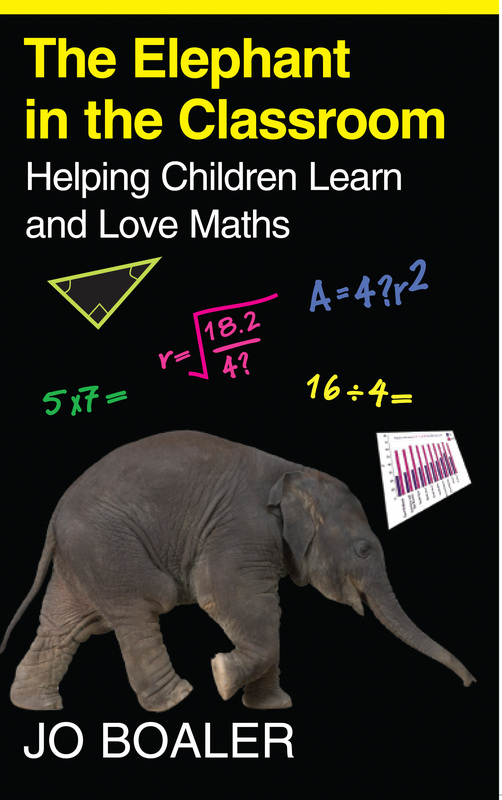 To learn more about Prof Boaler’s theories and how we can improve numeracy in the UK, see The Elephant in the Classroom – a straightforward and inspiring book that addresses the nature of the problem, showing how we can turn the perception of maths around and enjoy the creative and interesting subject it really is. Well, we told you it was on the way, and now it’s here. Lorna Robinson has written a teacher’s guide to accompany her new book Telling Tales in Latin, which is now available for you to download for free! The guide contains lesson ideas and activities, translations of all Latin text, running OCR Entry Level Latin vocabulary for each chapter as well as practice sheets which are based on OCR Entry Level requirements. All through August Telling Tales in Latin is available for the bargain price of £1.19 on Kindle, so why not take advantage of the offer and pick it up, along with a copy of the Teacher’s Guide for free to go with it? To find out more about Telling Tales in Latin, visit the Souvenir Press website. To download a copy of the Teacher’s Guide, take a look at the Iris Project website. Stephen Addis, a retired Classics teacher with 36 years’ experience of teaching Classics in state and independent schools, has recently reviewed Telling Tales in Latin by Lorna Robinson, and has kindly allowed us to reproduce his review in full here on our blog. Stephen taught Classics for 32 years as Head of Department, and since retiring teaches as part of the University of the Third Age. He has a BA Honours Degree in Classics from Bristol University and a Post Graduate Certificate in Education from the School of Education, University of Bristol. Read his review in full below, or on Amazon, where he rated it five stars out of five. ‘Telling Tales in Latin’ by Lorna Robinson is a new and exciting Latin course published by Souvenir Press. The Roman poet Ovid serves as the storyteller and his chatty, lively style will appeal to students of all ages from the outset. A selection of mythological stories from Ovid’s Metamorphoses forms the basis of the Latin text. The grammatical material and vocabulary cover the requirements of the OCR Entry Level qualification in Latin, making this course the only one which currently caters for this prescription. From Chapter 1, students are encouraged to see and also to work out for themselves the connections between Latin and English derivatives, some of which will prove to be rather thought provoking, but will help to extend pupils’ knowledge and understanding of English vocabulary. Each chapter follows a similar format, namely a brief introduction, the myth itself with helpful vocabulary, a clear explanation of the new grammatical point being studied and excellent suggestions for further activities. Pupils are introduced to the most important areas of Latin grammar so that they can see how the structure of the language works. Verb tenses which are covered include the Present, Imperfect and Perfect with clear definitions of each. The four conjugations, termed ‘groups’, with their infinitives, are outlined. If any form of a Perfect tense verb is different, it appears each time in the vocabulary. Two very common irregular verbs (sum and possum) in the Present tense only are given, which Ovid calls ‘wild verbs’. Nouns (Masculine, Feminine and Neuter) in the first three declensions are given which are again referred to as ‘groups’ with explanations of subject and object rather than the use of Nominative and Accusative, although the term the ‘Dative’ is actually used and explained and reference is also made to it being the indirect object in the clause. The agreement of adjectives is covered as are question words including – ne. Imperatives, prepositional uses, phrases of time and superlatives are all glossed in the vocabulary. Every grammatical structure is explained in a concise and lucid way in Ovid’s inimitable style. The book contains superb colourful illustrations either on every page or double page by Soham De which will help to enhance the students’ appreciation and enjoyment of each mythological tale. The ‘Activities’ section at the end of all the chapters will provide students and teachers alike with a wealth of opportunities to explore the appeal of mythology in many different ways. Suggestions cover such areas as thinking about how myths might contain morals, personal responses, creative writing, drama activities, artwork and illustrations and reasons why the theme of metamorphosis has captured the imaginations of artists, sculptors and writers. Readers are encouraged to consider the enduring appeal of these tales and how they can relate to important modern ideas including relationships with other people and looking after the planet. Teachers will easily be able to develop cross-curricular links with many other subjects. There are some errors which need to be corrected before the next print, the most serious being ‘currus’ termed a group 2 noun on page 63, but these can easily be remedied and will not detract from the reader’s enjoyment of the text. ‘Telling Tales in Latin’ will delight all who read it both visually and from its rich selection of tales. This little book focuses excellently on the importance of literacy and language and makes it a superb and stimulating introduction to learning Latin. Students will be inspired to explore more of Ovid’s stories and their enjoyment of Latin will be increased greatly. It is one of the best Latin course books currently available and will undoubtedly prove to be a great success, particularly with younger children. Congratulations to Lorna Robinson who has produced a real masterpiece, which brings the subject to life. Thank you to Stephen Addis for allowing us to reproduce his review here in full. We were delighted to learn last week that the Literacy Through Latin project, run by The Iris Project (founded by Lorna Robinson, author of Telling Tales in Latin) has been awarded the EU Language Label 2013 for innovative language teaching projects. The European Label is an award that encourages new initiatives in the field of teaching and learning languages, rewarding new techniques in language teaching. By supporting innovative projects at a local and national level, the Label seeks to raise the standards of language teaching across Europe. Each year, the Label is awarded to the most innovative language learning projects in each country participating in the scheme. Congratulations to Lorna and the whole team at The Iris Project on being awarded the EU Language Label 2013 for their Literacy Through Latin programme. To find out more, visit the Iris Project website, or order a copy of Telling Tales in Latin today. Steve Chinn is the author of The Fear of Maths: How to Overcome It. With over thirty years’ experience of work and research in special and mainstream education, he specialises in maths learning difficulties and dyscalculia. In 1986 he founded and developed a specialist secondary school for dyslexic boys, which went on to win several major national awards. His experience has led him to realise that anxiety is a major contributor to the mental block that many people develop when it comes to doing maths, and his blog post below explores the five biggest causes of maths anxiety, with suggestions as to how to overcome them. What is it about maths that creates so much anxiety in so many people? We know that there is maths anxiety, but why not art anxiety or history anxiety? One of the issues with maths is that the answers to questions are right or wrong and few of us like being told that we are wrong. This is exacerbated when we are wrong in front of other people. Doing maths in public, say working out the tip in a restaurant in front of friends is going to create anxiety. Building skills for estimating can help. In many situations ‘close enough’ is just as good as ‘spot on’. It is part of the culture of maths that questions should be answered quickly. It’s hard to know when this demand began, but 6 x7 is 42 whether you take 2 seconds to answer or 10 seconds. Having to do things that you find difficult quickly creates anxiety. Slow down and give yourself time to think. This will give you a chance to be certain of your answer, and will make you less likely to make small mistakes that creep in when you are in a rush. I don’t know why, but I do know that the reality is that some people find rote learning these facts a BIG problem. It is a part of maths that hasn’t changed over time so parents feel able to help their children, so they buy CDs of multiplication facts songs to play on the school run…. anxiety before the child even gets to school. Start with the easiest times tables (x1, x2, x5 and x10) to build confidence, and then use what you have learnt here to move on to the more challenging ones. To be successful at mental arithmetic you have to have a good short-term memory, or you won’t remember the question, which is quite a handicap. You also need a good working memory, the memory you use to do things ‘in your head’. Not everyone has good short-term and working memories. This is the way it is. Being able to jot down notes and memory-joggers can be a help and should not generate guilty feelings. These three topics really create anxiety in children and adults. Most people master addition. They find subtraction a bit harder, multiplication a bit harder still and division pretty close to impossible. That, in turn, makes algebra very difficult and thus very anxiety-generating. To be good at algebra you have to understand addition, subtraction, multiplication and division. Not just remember the procedures, but really understand. It can be made much easier than you might think. Maths is logical and most things are inter-linked. That inter-linking can be good if you can understand each link, but it becomes a real problem if even one link is missing. Maths is a great subject, but learners need to have the concepts explained in ways that they can understand and that means something far more educational than just feeding facts into memory. The Fear of Maths by Steve Chinn is published by Souvenir Press. It is available now in paperback and as an e-book. For more help with maths, take a look at the Maths Made Easy series of books from Souvenir Press. And don’t forget to check out the rest of our Author Corner blog posts!